The next chapter in the Skywalker saga arrives this December. 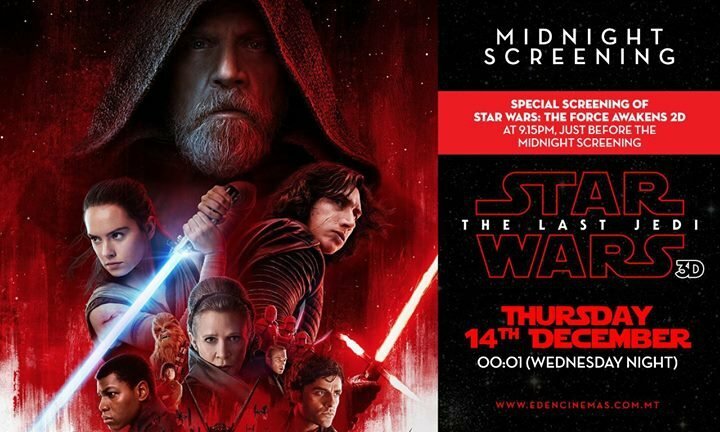 Be one of the first to watch ‘Star Wars: The Last Jedi’ at Eden Cinemas’ special 3D midnight screening on the 14th December (Wednesday night into Thursday morning). Just before the midnight screening, there will also be a special screening of “Star Wars: The Force Awakens” in 2D at 9.15pm.